Inspired by the series, "La Storia della Arcana Famiglia," the Felicita Fantasy Anime Sword is a quality reproduction. It features a 10" carbon steel blade that has been polished and a carbon steel handle, as well. This is one tough sword to compliment the winner of the Arcana Duello. A black sheath completes the package. The sword is 17" in overall length. I received mine. It was interesting. 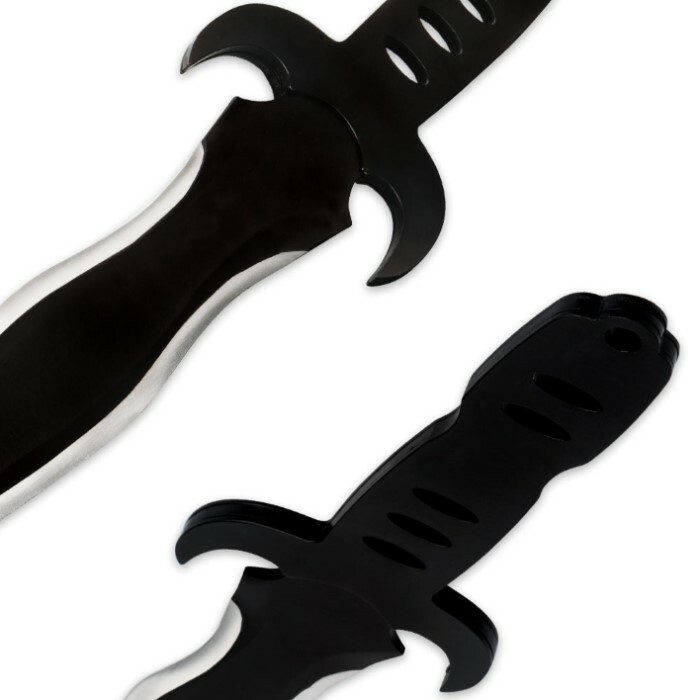 Advertised as a fantasy sword but it is more like a dagger. It is heavy. The handle is metal - no wrap or cord or scales. But that is an easy fix. The point is sharp but the blade is dull. I will see about sharpening it. The sheath is just a cheap cover. There is no attachment or loop for a belt. But this could pull duty as part of a pole arm or spear. One could get a 6-8 foot ash or hickory shaft of sufficient thickness, cut a slot, and with some epoxy and wrappings make a decent weapon.